Zohra Driss is more than optimistic for the 2019 season. She does not hide the fact that her group is making profit and even has a nice amount of currency and asks that it be published. She is for the implementation of the “White Paper” of tourism. She does not hide, either, her sympathy for the new Minister of Tourism who has, for a time, created controversy and believes that he is the right man in the right place. 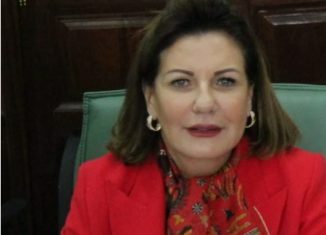 The businesswoman MP is not tongue-tied; when asked about the political situation and her opinion on the Nidaa Tounes and talks about a “family affair” that she decided to leave. About the political project of the Prime Minister in whose ranks she is now, she says “it is to unite us again and fight for the next elections” and that “Salim Azzabi will be only a member of the team”. This skillful businesswoman, turned politician, is, moreover, more than sure that with the Driss and Jenayah in strong support in Sousse: “we will win the next elections”. AfricanManager met Mrs. Driss, during the last Business Days in Sousse. Since then, a lot of water has obviously flowed under the bridge. How is tourism in Sousse? First, we all remember the terrorist attack that occurred on June 26, 2015 in Sousse; after this attack, tourism had a fatal blow to tourism in Tunisia. The season had been very bad, we know that tourism is one of the pillars of the economy in Tunisia, apart from people working in the sector of tourism, agriculture, sports, handicrafts, all had a very hard blow. In 2017, a small recovery has been confirmed and in 2018, it is very good. I think for this year the recovery will be even better and really very good. Absolutely. Just after the revolution, the sector began to face great difficulties. We saw that after 2011 and 2012 and with all the TV reports where we talked about the Salafists, people who burned the Tunisian flag, bearded people, people who were praying on the beach of Hammamet, all this sowed panic among European tourists who thought that our country will sink into Islamization. Therefore, difficulties began in 2011. They worsened in 2015 and it is normal that after a year of recovery, people who have had a lot of debts to banks, CNSS, STEG, SONED, to their staff, cannot remedy all this, because it would take many years to pay off all these debts. What is the solution, according to you? I will be very frank in saying that there are three categories of hotels or holiday parks in Tunisia. There is a park that is practically obsolete and doomed to decay or even to total closure. There is a small park that is doing well and has no problem. However, there is also a large park, it is in the middle of these two extremes, that we could save, especially the seaside hotels. There, I speak of hotels in Nabeul, Hammamet, Sousse, Monastir, Mahdia, Djerba and that have great potential to work well. For these hotels, it is sufficient for hoteliers to have the opportunity to access funds to be able to renovate, upgrade their institutions and to restart and receive tourists. Do you agree with the solution that has been proposed by the STB? You want to talk about the white paper. It was developed by hoteliers and I think it should be put into action. This book gives the possibility to the banks to find the money lent to the hoteliers, but on slightly longer deadlines. This will allow the hotelier to have cash to refit his hotel. So according to you, it is feasible. Absolutely. The book was developed by the Federation of Hotels, the Professional Association of Banks and the Ministry of Tourism. Why, in your opinion, has it remained so far unapplied? That is right; it has not been applied yet. However, a few months ago, the Prime Minister spoke about this white paper and agreed on its implementation. Banks now have to sit down with hoteliers in difficulty, but with certain potential for recovery and a desire to repay their loans in the medium or long term. Do you not believe that you always send the ball back to the bankers alone? No! I am not asking the bankers to classify everything into unrecoverable debt, not at all. I say that we must find a solution for these unpaid, with the possibility for banks to enter the capital of hotels, and then sell these shares, little by little, to hotel-owners, when the hotel sector will restart properly. Your group is part of which hotel category? Basically, our hotels do not have financial problems. Therefore, you have no debts. If you are talking about Zohra Driss’s group, it is rated zero risk and therefore has no debt. You are making profit of course! Yes. I touch wood. Zohra Driss’ hotels are practically the only seaside hotels, or they are among the few, to be ranked zero-risk to date. Moreover, we even have a large volume of currencies in our Tunisian bank accounts. There are more and more hoteliers who give the management of their hotels to foreign brands. Is it by management incapacity? On the contrary, it is a good thing. It is indeed very important to work with a foreign brand, because the tourist has more confidence in European brands. The brand gives him the guarantee of a good level of service and assures him that the hotel is up to international standards. The brands, unfortunately, only approach the hoteliers who have renovated units or those that have been upgraded. And when these brands are interested, they ask for a contract to renovate the hotel. Having a brand guarantees you better marketing and contracts made in dollars and euros. 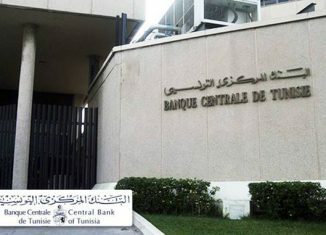 For Tunisians and Algerians, the contracts are denominated in TD. Where is the money from tourism as some MPs has put the question? Are you talking about this silly question that was asked at the Parliament? I think that to answer this question, you can check the contracts. Not all hotels have the option of having a contract in euros or dollars, because the tour operator only works with good hotels. With the mid-range hotels, the TOs put the pistol to their heads and forced them to sign contracts in Tunisian dinars. I ask the Central Bank to check the amount of currency that I brought into the country and publish it in relation to my turnover and you will see! As a hotel owner, what does the picture look like in 2019 in terms of booking? It will be very good, barring a disaster God forbid! Will it be better than 2018? Of course. It will be even better. I guess we will make 15% or 20% better than 2018 in number of tourists, given the contracts we have signed, the number of planes programmed by tour operators on Tunisia. There will be a return of the British market, a big return of the German market and the Belgian market and all the markets of the Eastern European countries. There will be, in my personal opinion, at least 20% if not 30% more in financial benefits. Is René Trabelsi the right person in the right place to head the Ministry of Tourism? Yes really, I think we will be surprised in the good sense by what René Trabelsi will do, because he is a businessperson, and that he is someone of the sector, therefore who already knows the problem of hoteliers. Already the passage of Mrs. Salma Elloumi was very good, because she is a businessperson, pragmatic and who understood that to move very quickly, it was necessary to listen to the hoteliers. 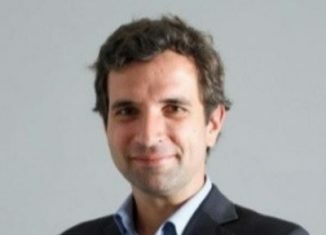 René Trabelsi may advance even faster. As a politician and member of Parliament, what do you think of the quarrels between the two heads of the executive, especially since you are now leaning towards Youssef Chahed? I left Nidaa Tounes when I realized that this party no longer has hope. Since its creation, Béji Caïd Essebsi gave the green light to his son and it is as if he had declared that the voters of Nidaa are no longer his business. Therefore, when I understood all that, that it became a family affair, I left that party. You are no longer part of Nidaa Tounes and you are now in the bloc that is said to be pro-Chahed. What is your next step? It is to unite again and fight for the next election. Will Slim Azzabi be responsible for the formation of this party? Is the support of Driss and Jenayah important for Youssef Chahed? Are you a locomotive family in the area? We want the stability of the government. We cannot solve the economic and social problems with annual changes of prime ministers. We are patriots and seek stability. Can there be a rapprochement between Mehdi Jomaa or Yassine Ibrahim with the next party? We want to unite with the moderate blocs. Do you think you have a chance to win the election? Yes… we will have all the chances. Tunisia: significant European assistance, but very badly managed! Tunisia: How to prevent this, 2 weeks before Ramadan? !